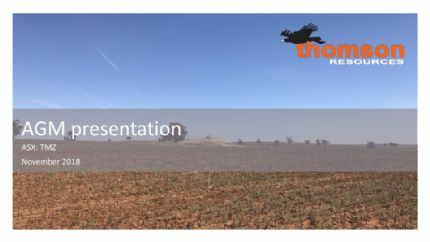 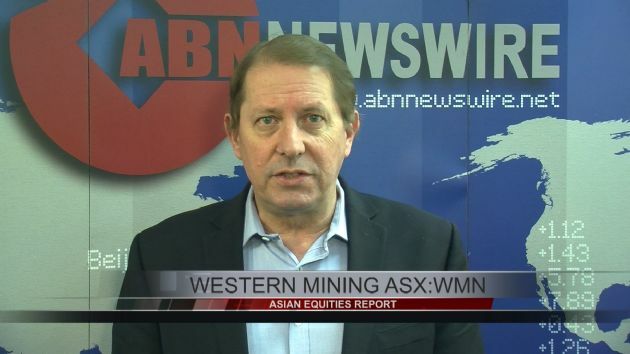 Sydney, Jan 30, 2019 AEST (ABN Newswire) - Thomson Resources Ltd ( ASX:TMZ) provides the Company's Quarterly Activities Report. 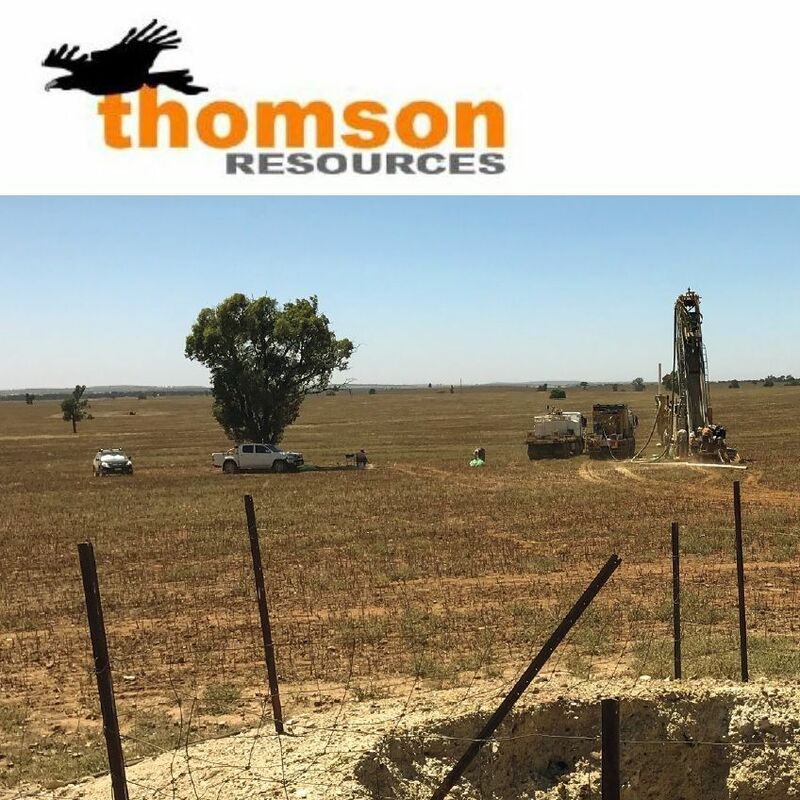 Thomson undertook significant drilling programs at each of Thomson's tin and gold projects in southwestern NSW during the quarter. 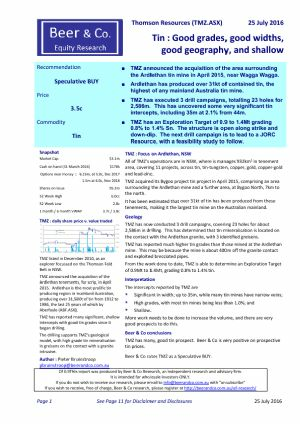 Ten holes for 762m were drilled at Bygoo North, fifteen holes for 1036m were drilled in the Big Bygoo area and nine holes for 833m at the Harry Smith project - a total of 34 holes for 2,631m.